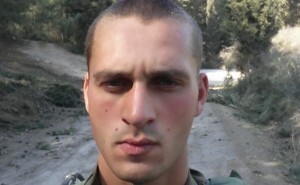 As Israel’s Memorial Day was ushered in, the sad memories of the families of fallen soldiers once again came to fore. David Sarel, currently a combat soldier in the Givati Brigade , was one of those. 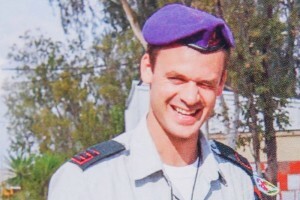 His older brother, Maj. Benaya Sarel, was killed in Operation Protective Edge in 2014. It was three weeks after David’s induction when his older brother was ambushed by terrorists at the entrance to a tunnel in the southern Gaza Strip. As David’s thoughts were focused on his beloved brother whose life was cut short at such a young age, his cell phone beeped. “This is Ezer Mizion calling. You had registered with the Bone Marrow Registry when you were inducted. We have a patient whose only chance to survive is a bone marrow transplant. Your DNA matches his. You are the only one in the world who can save his life. Will you do it?” it took only a millisecond for David to reply. Of course, he would. His own personal commemoration of Memorial Day. In the memory of his brother who had given his life for his people, he would save a life.